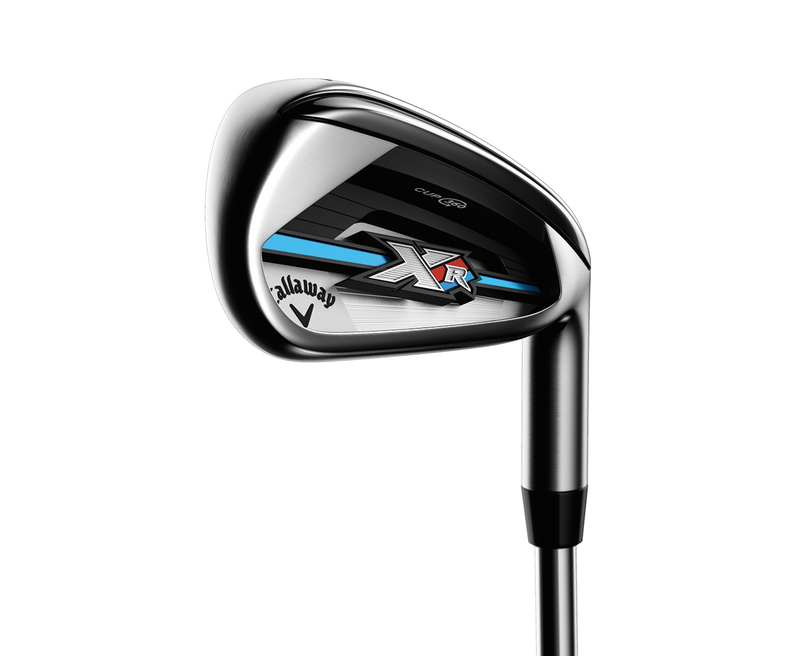 Callaway has revealed its new XR OS hybrids and irons to complete its XR line-up for 2016. Last week we told you how Callaway had teamed up with Boeing to make its new XR ’16 driver its fastest yet, this week the brand has rounded off its metalwood line-up with its new XR OS hybrids, while also adding a new oversized set of irons. Forgiveness is at the heart of the new XR OS hybrids as Callaway looks to make this model the easier to hit than any other hybrid it offers. Designed to complement the XR OS irons, the larger head shape helps to make the ‘extreme’ levels of forgiveness possible, while improvements to technology on the face mean it gives more distance as well. It also comes with a draw bias to make it easier for mid to high handicap golfers to play with a draw. The XR OS irons are best described as a super game improvement set that is targeted at the same category as Ping’s GMAX irons. So who are they aimed at? Well primarily at players who fit into one of a number of categories. According to Callaway, if you agree with any of the following, these could well be your perfect next set of irons. • Do you want as much help as possible? • Do you want to enjoy playing golf again? • Are you looking for better gapping in your set? • Do you swing fast but want to hit it straighter? • Have you played any of Callaway’s Big Bertha irons before? The XR OS set has been designed to be progressive, with both the loft and length built to ensure the distance gap between each of your irons is perfect. With that philosophy in mind, it makes sense that the hybrids have been designed to integrate seamlessly into the set and replace the long irons.